If there's a place on the Internet where you can find assorted and peculiar news, that's reddit. 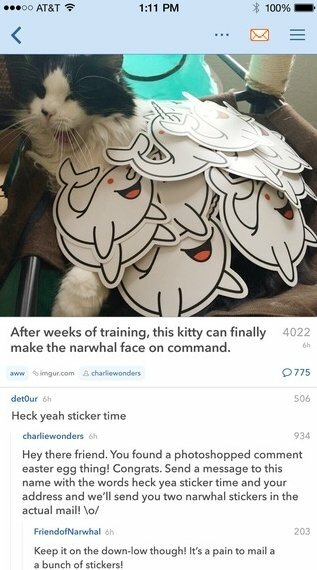 To be able to make the most of your free time when you're not in front of your computer and to always be up to date, you now have narwhal for reddit. 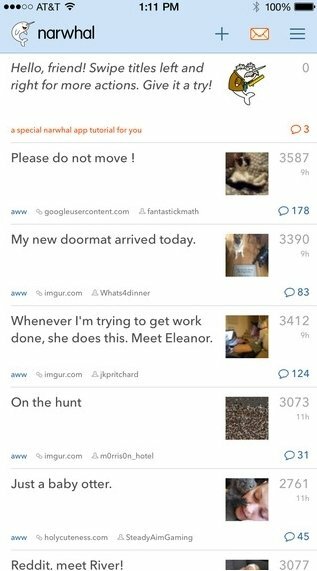 A great reddit client designed or iOS 8. 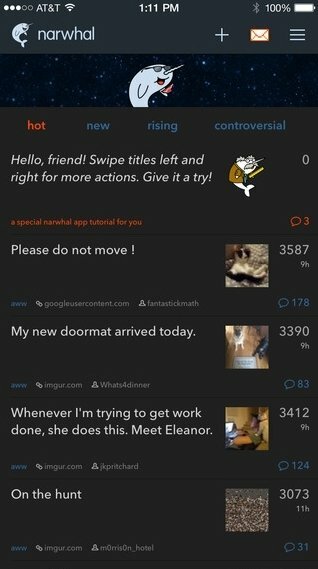 With this application, accessing reddit from an iPhone is a much more pleasant experience as it provides quick access to all the basic options you're going to need. 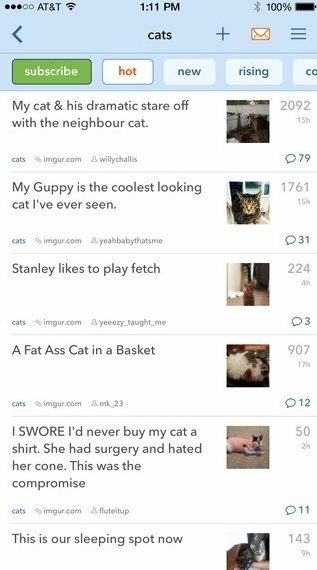 Regarding the design, it looks familiar because it's very similar to reddit's official web. 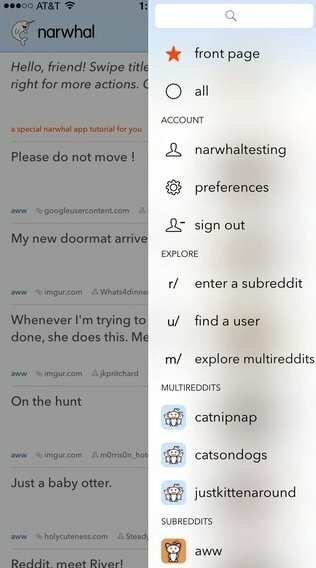 Vote any article or comment very easily.